In the bible you see many a circumstance where Jesus or his disciples have laid hands on someone and either cast the demon out of them or healed them of their sickness directly. But of course they had their critics for doing so. 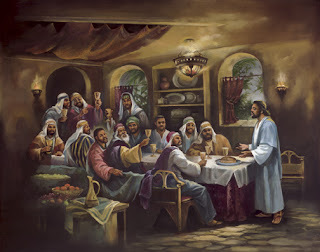 Indignant because Jesus had healed on the Sabbath, the synagogue leader said to the people, “There are six days for work. So come and be healed on those days, not on the Sabbath. The Lord answered him, "You hypocrites! Doesn't each of you on the Sabbath untie his ox or donkey from the stall and lead it out to give it water?